You must make bookings at least 5 minutes in advance of the time at Bentley's Oyster Bar & Grill. NCP public parking nearby in Berwick Street. Underground Piccadilly or Green Park stations. On Thursday, Friday and Saturday evenings, our resident pianist plays in the Oyster Bar with linked speakers to the outside terrace. Guests will be presented with an informative and fun tutorial on the cigar of the month, how to smoke it, the subtle nuances of the flavours and how it pairs with the spirit being showcased. Welcome drinks and canapés, cigar master class and paired drinks £35 per person. 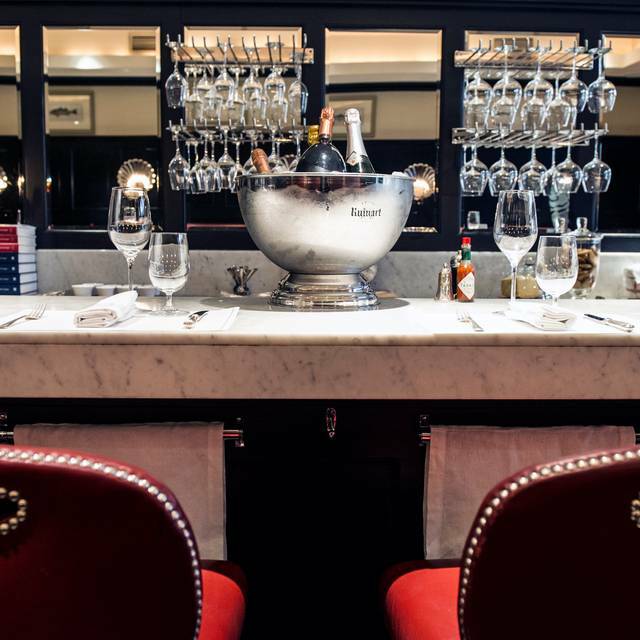 Classes take place on a Saturday and start at 10:30am and cost £65 per person to include champagne on arrival, oyster master class and tasting, with sommelier matched wines. You will also get to take home a goody bag with apron, recipe cards and oyster knife. To book any of the above please contact privatedining@bentleys.org or call 020 7758 4144. 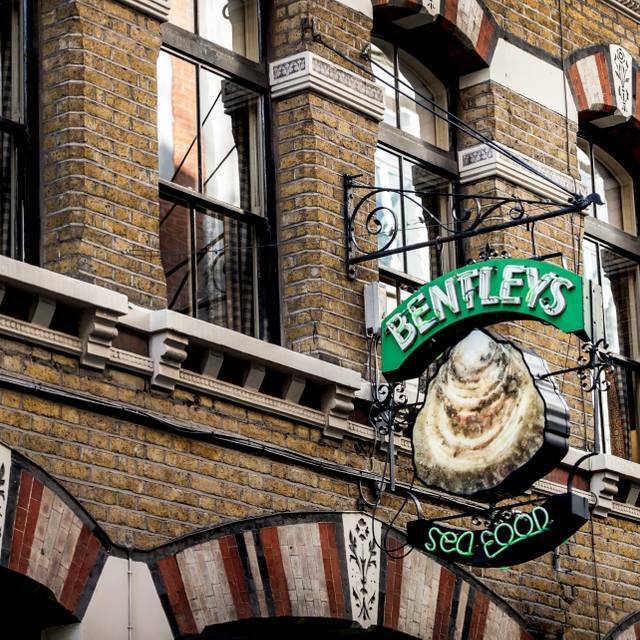 Now in its tenth decade, Bentley’s first opened its doors in 1916 in the same beautiful old Victorian building it occupies today and has now become an iconic London restaurant. Offered the chance to restore Bentley’s to its former glory when it came up for sale in 2005, Chef Richard Corrigan embraced the challenge. Once again opening its doors to great critical acclaim serving oysters, fish and seafood in much the same way it has since 1916. Linen-clad tables, a wooden floor and Richard’s art collection adorn the walls creating a warm and friendly atmosphere. Bentley's Oyster Bar and Grill also has two beautiful private dining rooms. 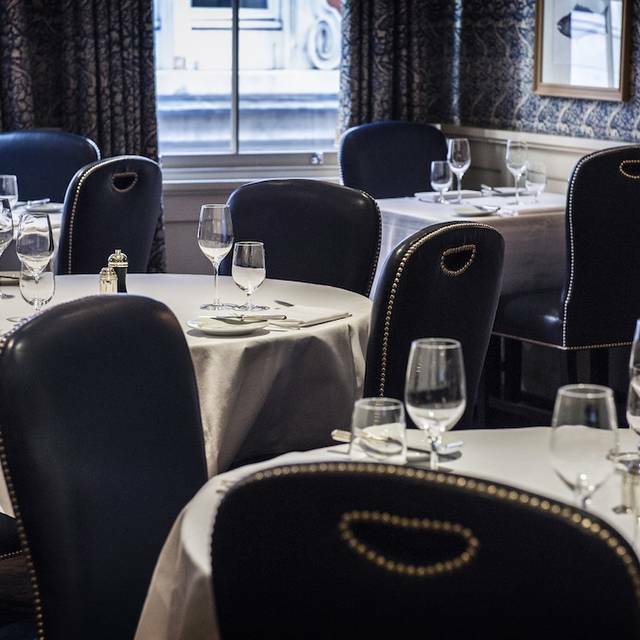 The Crustacea seats up to 14 and the Swallow Street Rooms, with it's own private bar and street entrance, seats up to 60. 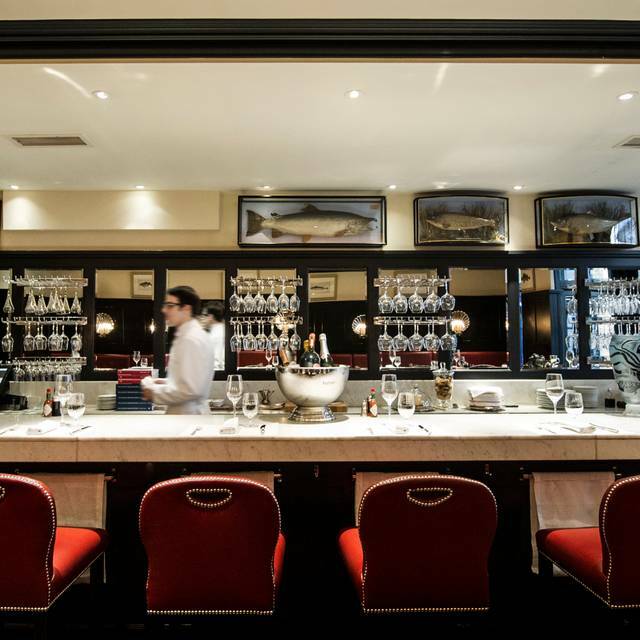 The iconic Bentley's Oyster Bar and Grill has two private dining rooms. 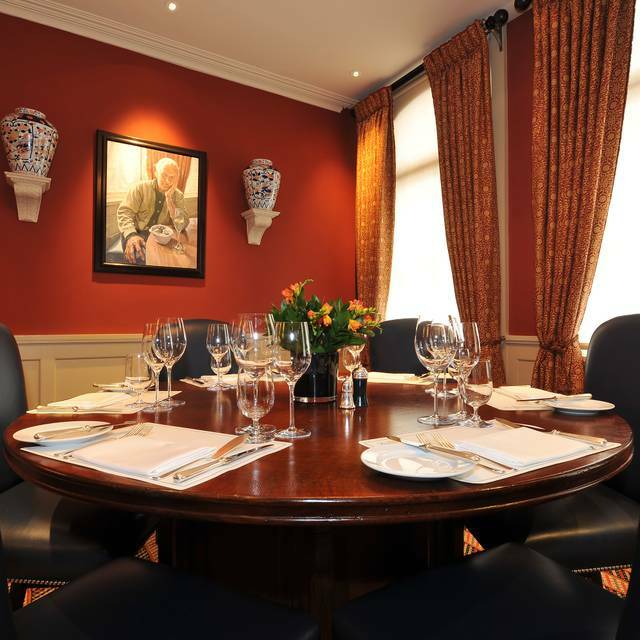 The Crustacea Room accommodates up to 14 guests on our reduced A La Carte menu, no room hire fees. 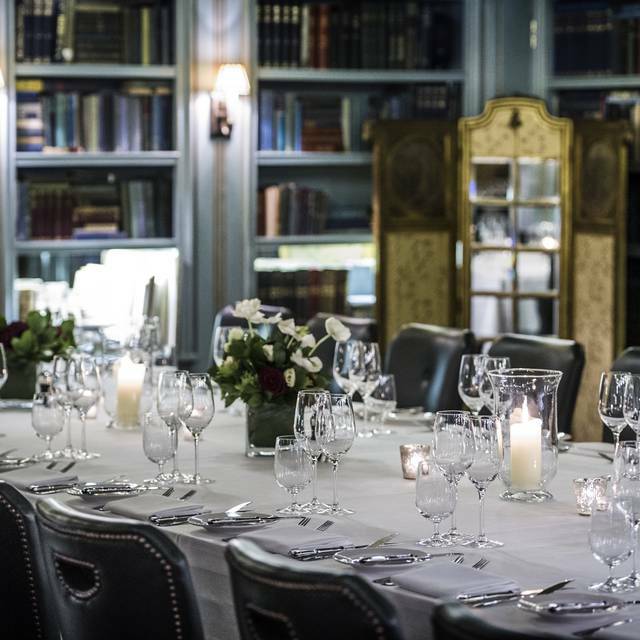 The Swallow Street Room accommodates up to 60 sit-down and up to 100 standing. There are no room hire fees. Menus start from £40. What is better than a grilled dover sole, spinach and a good bottle of white wine? And top that with excellent service. Impeccable service, beautifully presented dishes that use fresh, high quality ingredients. We went on a trip to London with our children. We had a great meal and terrific service. The food was excellent. 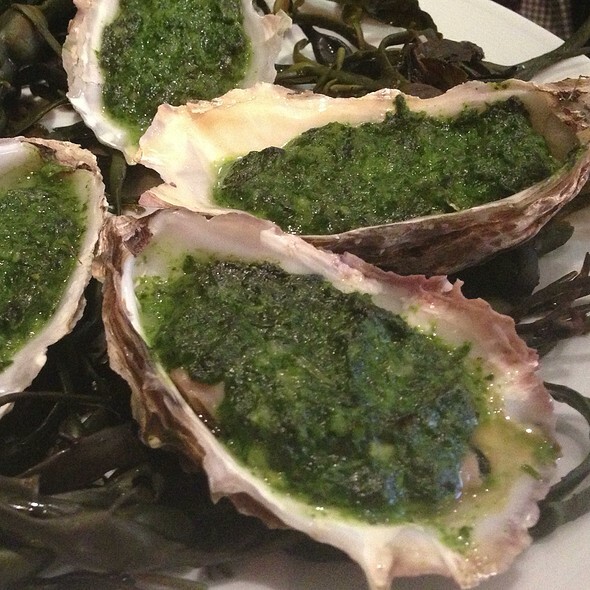 We especially loved the baked seafood stew and of course the oysters! Would highly recommend it . Great food, great service, very nice seating, not loud. Good for groups, or couples. Enjoyable meal at Bentley's Oyster Bar & Grill. The service staff were helpful and knowledgeable about the different oysters and other options on the menu. The food was all fresh and tasty, especially the starters of shellfish cocktail and octopus and chorizo. The fish mains are expensive as tends to be case in similar restaurants but were beautifully cooked. The one complaint is the very small spacing between tables. With only about a 12-18 inch gap the you feel on top of your neighbours, leading to a somewhat restrained atmosphere. Also, the waiting staff are having to squeeze past you to serve the tables next to you. Would go back when warmer and try one of the tables outside unless they are similarly squashed in! We arrived early and were welcomed and taken to our table. Very attentive staff from start to finish. Kath and Marco looked after us very well. The baked oysters and fresh mussels were perfect as were the baked cod and the Dover Sole. For me the mussels and the Dover Sole were the best I've had anywhere. Perfectly cooked and well presented. A great venue. Such a wonderful place to go!!!! Everything is is just fantastic! Portions too small to justify the very high prices. Even worse than Sheekey's. E.g. a sharing starter seafood platter with one scallop: how do you share that? Extra charge for bread at ~£100/head.... Quality OK, although nothing very innovative. Food is amazing, however absolutely no atmosphere in drinks bar or bar/restaurant. Service was very prompt, but sadly left thinking I won’t return. I requested a plate with Happy birthday for my wife’s birthday but was completely forgotten, not even a candle on the pudding. Great food, Good service, reasonably expensive - Make sure you book a table in the main restaurant. We were originally offered a tight, small booth in the bar for 4x adults! On request, the maitre d' swiftly moved us to a table in the Oyster Bar that was a lot roomier but upstairs would have been even better. Went here for the second time in a week to celebrate Mothers Day. The food was outstanding. We had such a wonderful time. Bester Fisch wie immer ! Fantastic greeting and lovely bar staff whilst we had a pre dinner drink, lovely buzzy ambience. We were taken to our table upstairs and the dining room is beautiful - old school style but not old fashioned. The food was amazing - everything was immaculately fresh and flavoursome - we had Oysters, dressed crab, shellfish cocktail - Dover sole and Dover sole special. Our waitress was superb as was the sommelier. Booked as part of a Birthday celebration and by far exceeded my hopes for a special experience. Food was truly exceptional, staff were friendly and helpful, always available without being over bearing. Beautiful ambiance. Thank you so very much. Can not wait until we have something else to celebrate. We love this place. Our favourite seafood place in London. Best soda bread ever. Good quality seafood. Well prepared and served. Wine was good but expensive. Looking forward to our next visit! I can say no more than to advise that our lunch was enjoyed in the presence of a celebrity food critic, so the food was indeed excellent, waiter Alex was helpful and enthusiastic, enjoyed a seat outside after lunch for a brandy or two, a memorable lunch indeed. 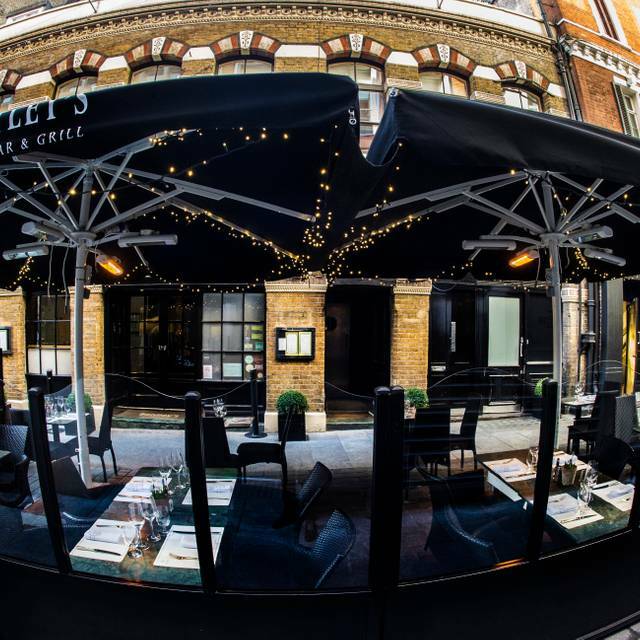 High quality food in a great central London location. The lack of peas on the menu was a grave error of misjudgement. Nice place to catch up with a good friend. Relaxed, knowledgeable staff, great bar and overall experience. Not cheap. Terrible service. Sat for over an hour and still didn’t get food. For a place that charges those prices service does not match. So disappointed. Bentley's has become my default central London venue for reunion lunches with old school friends. We are all of a similar age and still appreciate a proper traditional restaurant with good straightforward food and a great atmosphere. We were not disappointed on this latest visit. I will be there again next week to catch up with my wayward brother for our annual chat! I love taking family members visiting from the states. It's also a brilliant place to meet friends for cocktails. We had Dover Soles for mains which were not very good. We had come specially for the Dover Sole and is a dish which we know well. Perhaps Monday is not the best day for fish. Great restaurant. Very high quality of food and service.